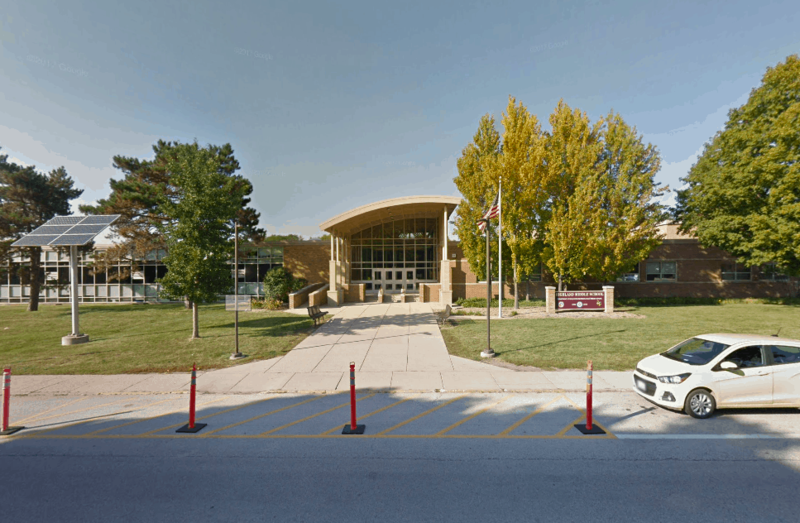 Police were called to Highland Middle School, 310 West Rockland Road in Libertyville, on Tuesday after a school bus driver crashed into three parked cars | Photo: Google Street View. A school bus driver died Tuesday evening after crashing into three parked cars outside a middle school in Libertyville, police said. The Libertyville Police Department and the Libertyville Fire Department responded at 5:42 p.m. Tuesday to Highland Middle School, 310 West Rockland Road. Police officers found a school bus driver unresponsive after crashing into three parked cars, Libertyville Police Lt. Ed Roncone said. Police began performing CPR on the driver, who has not yet been publicly identified. Paramedics arrived and transported the victim to Advocate Condell Medical Center in Libertyville where the victim was pronounced dead. The school bus did not have any children on it at the time of the crash and no one else was injured. The Lake County Major Crash Assistance Team (MCAT) was called to assist the Libertyville Police Department with the investigation, Roncone said. No additional information has been released by police yet. An autopsy has been scheduled with the Lake County Coroner’s Office.